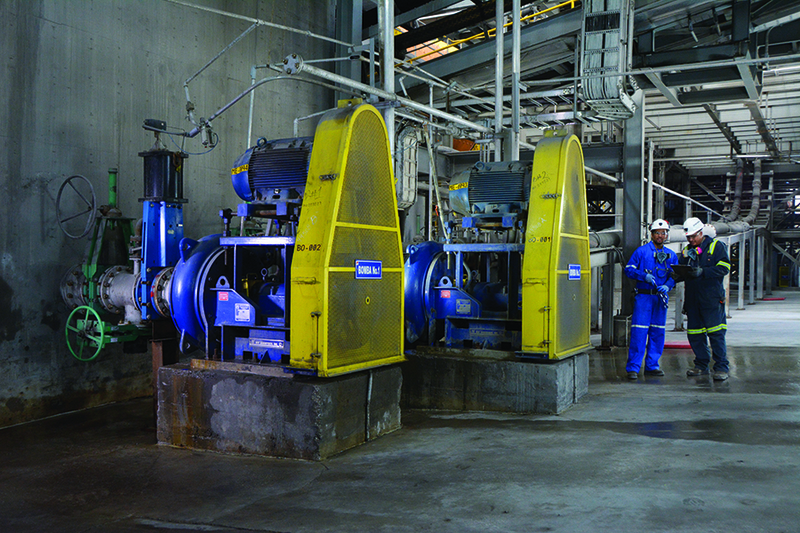 Our service centers can help you save energy and prolong the life of your equipment. The facilities service bearing assemblies and refurbish pumps, even those manufactured by other OEMs. GIW brings assemblies back to specifications. On-call emergency service is provided 24/7. Rebuild - GIW rebuilds your assembly and upgrades per your specifications. Remanufacture - GIW remanufactured assemblies are an alternative to new assemblies and they include only OEM replacement parts. Exchange - GIW uses remanufactured units to establish an exchange program to meet your specific needs. Only genuine replacement parts are used to bring your GIW/KSB pump back to its original condition. In many cases, due to technological, material or design upgrades, the rebuilt pump may outperform the original. You get the longest possible wear life for your wear parts. All GIW/KSB equipment is rebuilt to last, and all installed parts and workmanship carry the standard GIW/KSB Warranty. The service center is certified to ISO 9002. GIW’s newly expanded Canada Service Centre is conveniently located in Fort McMurray’s MacKenzie Industrial Park. The Florida Service Center is a fully integrated facility centrally located in the Lakeland area offering turnkey repair, installation and monitoring of all rotating equipment including pumps, gearboxes, bearing assemblies, and associated components. Located near our main foundry in Augusta, GA, the Thomson Center serves the entire United States. GIW® Minerals Service Centers support all slurry products and equipment used in the mining industry.